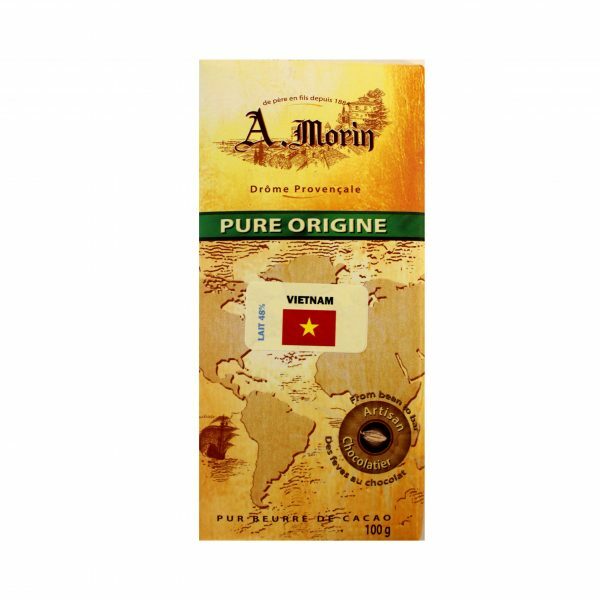 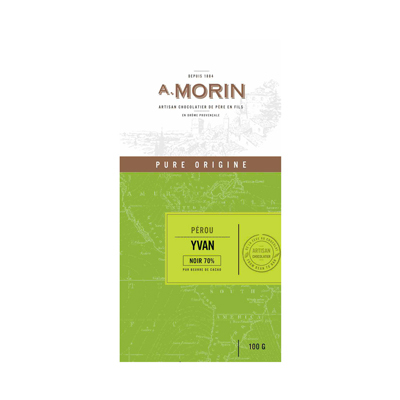 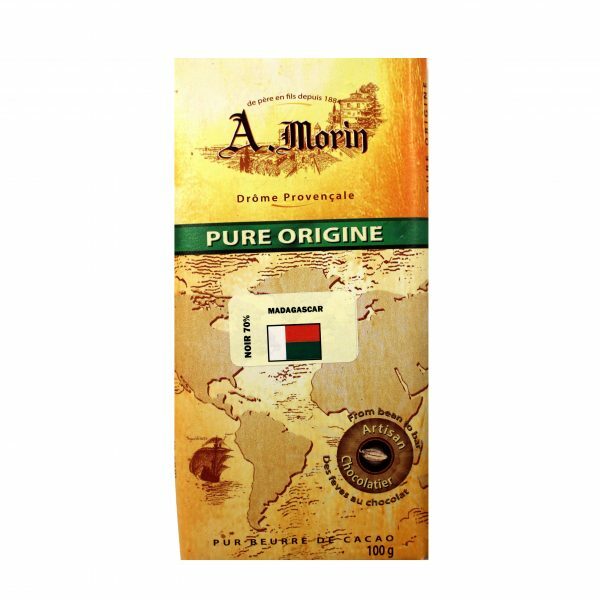 The Morin family have been making chocolate in France since 1884, passing through four generations of father to son. 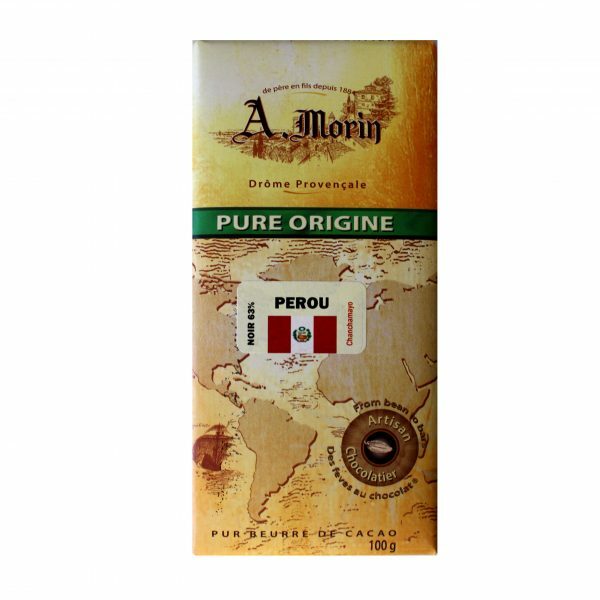 It is now run by Franck Morin, who brings the traditional chocolate maker into the contemporary chocolate scene. 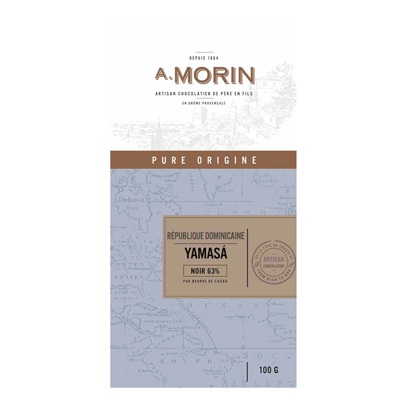 Chocolaterie A. Morin directly source its cacao from fine-flavour origins and is often found combining flavours picked from its back garden into its handcrafted chocolate. 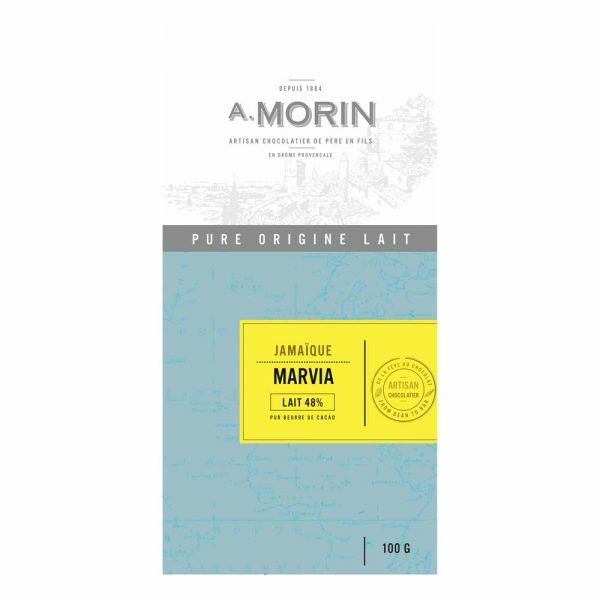 Chocolaterie A. Morin grows its ingredients from its own family property, in the heart of the orchards and lavender fields in the village of Donzère, in the South of France. 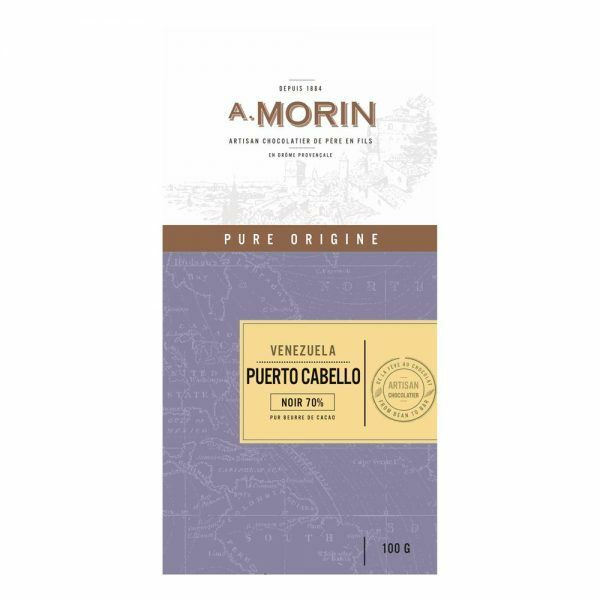 Now, the family farm has been made into a traditional chocolate factory where they grow their own morello cherries, almonds and hazelnuts. 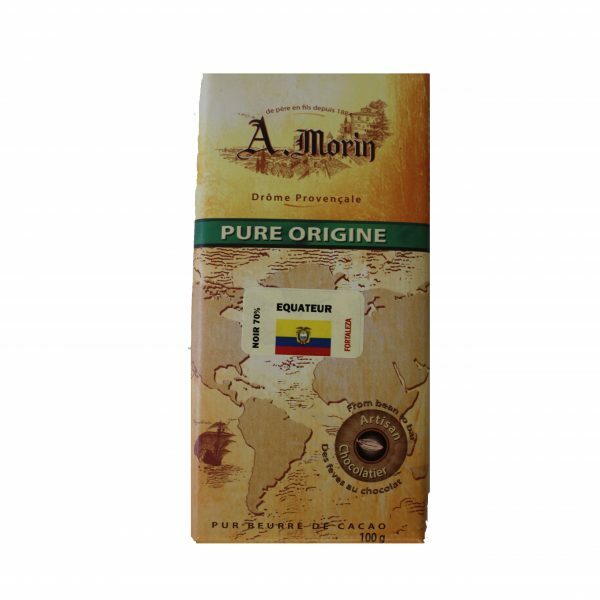 Sourcing its cacao, Morin often goes beyond stating single origin, giving the consumer the exact region of where the cacao grows. The cacao is then roasted, cracked, winnowed and ground, and the chocolate conched to create a very creamy texture and nuanced flavour profile – something very French in style of chocolate-making.